When bourbon meets bluegrass, I feel like the attire is pretty straightforward. 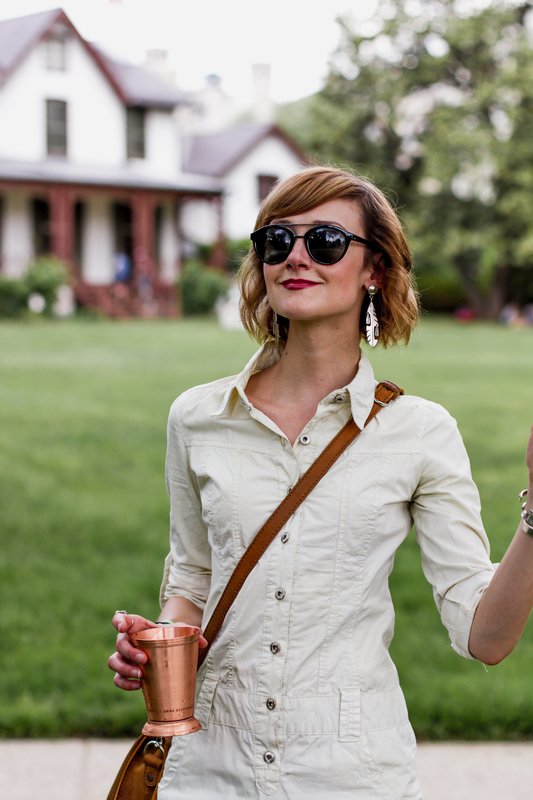 Some friends of ours invited us to a Bourbon and Bluegrass festival a few weeks ago and it was a great excuse to go full-on with the western trend. I think it’s pretty evident I’ve always been a fan of western style, but it certainly doesn’t hurt that it’s had a recent resurgence. My favorite way to style it at the moment is with a cute mini dress, western boots, and southwestern earrings. The event was hosted at President Lincoln’s Cottage, a very cool and highly underrated spot with beautiful buildings and sweeping views of DC. If you’re looking for a good spot for a walk or a picnic, I can’t recommend this spot enough. Your outfit is so on point! I love the matching bag and boots! I love your boots! So Wild Wild West. Is there anything you cannot wear? I swear, you make we want to buy cowboy boots and I am SOOOOO not the cowboy boots sort of gal! You look amazing. Sounds like such a fun event, and the dress and boot combo is so fun! You look fab in this Western Cowboy style look, Love your dress and those killer boots are awesome! The event sounds fun and amazing. When I read western that’s not what I thought it meant! The outfit looks very nice though, I think it’s cute. I love the shoes, although these might get a little hot in warmer days. You look great. Such a fun chic look dear! Loving the matching leathers, your boots are so fab too! What an adorable mini dress! Love how you styled it! You look sooo fab gurl! 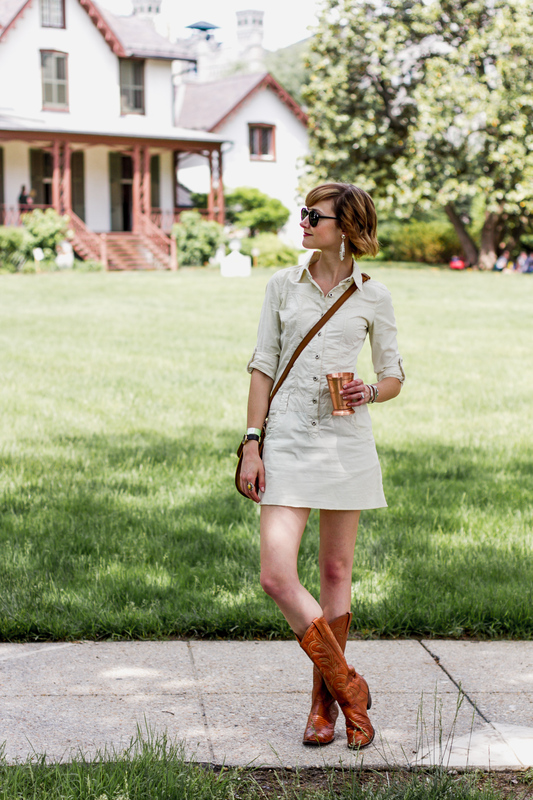 The shirt dress looks great with the boots and western look in general. Love the brown pieces including the brass cup. Ah such a run effortless look! Is there a western trend! Yay! I can wear my high end cowboy boots I got over a decade ago in Seattle. Still have them!